On January 24, 2018 Fire District No. 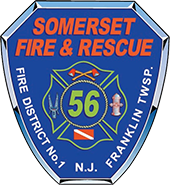 1 responded to a compactor fire at a industrial facility on Belmont Drive, Somerset. Car 56, E562 responded the fire was extinguished by Fire District No. 1 companies.